Her owners were happy that in her finals weeks she "was definitely living it up after she won"
In this June 23, 2018, file photo, Zsa Zsa, an English Bulldog, stands onstage with Megan Brainard, before being announced the winner of the World's Ugliest Dog Contest at the Sonoma-Marin Fair in Petaluma, Calif. The world's ugliest dog, Zsa Zsa, has died, Today reports. The English bulldog's owner, Megan Brainard, confirmed that Zsa Zsa died peacefully while sleeping early Tuesday. "I'm still in shock. ... 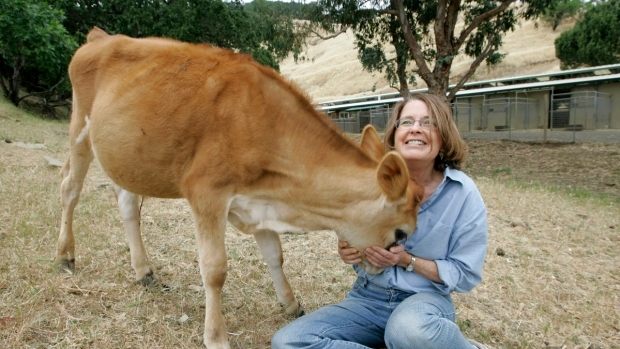 It's kind of like when she won (the World's Ugliest Dog contest). It's been two weeks and I still don't believe it. It's probably going to be the same with her passing," Brainard said. Brainard said that she, her husband and their 15-month-old daughter had a chance to say their goodbyes. 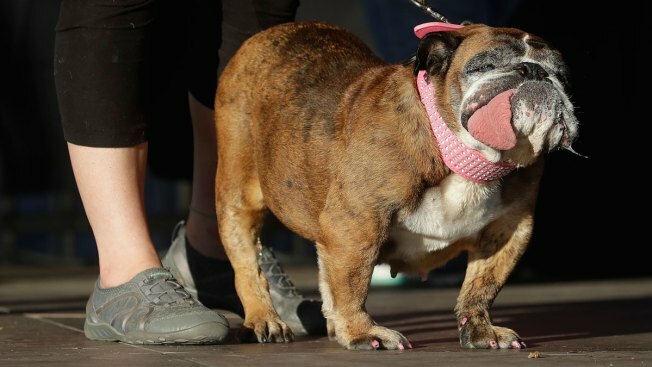 Just weeks ago the 9-year-old, named after Hollywood socialite Zsa Zsa Gabor, drew national attention when she was crowned the World's Ugliest Dog at the Sonoma-Marin Fair in Petaluma, California. Her rise to fame did not come easy, with the droopy-tongued dog spending five years in one of Missouri's puppy mills before the Underdog Rescue group placed her in the Brainard family's loving home.